Gonzalo Higuain has arrived in England and will undergo a medical ahead of completing his move to Chelsea. Chelsea have agreed a deal to sign the striker on a loan deal until the end of the season from Juventus, with an option to extend his stay by one more year in the summer. 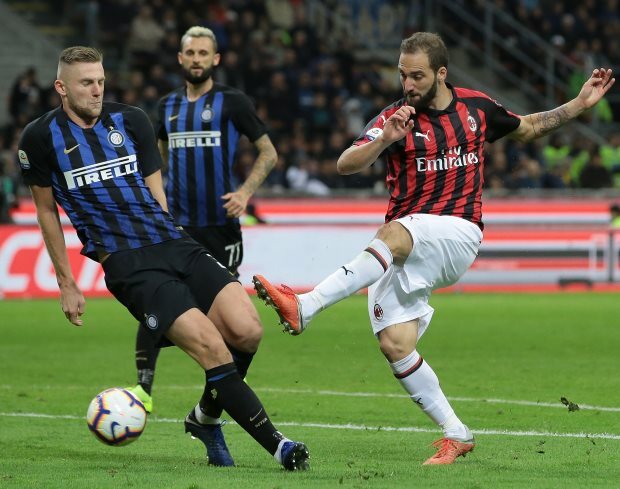 Higuain was waiting for the final approval from AC Milan, the club he joined last summer on loan, and it seems his move to Chelsea has been green lit. According to Sky Italia, the striker took a private aircraft to London from a Milan airport this morning and has touched down in England. The striker left Milan only with his agent and will soon be at Chelsea, where he will look to complete the formalities of the loan deal. He will undergo a medical later today and the club are keen to announce the deal to sign him by the end of the day. Maurizio Sarri has been championing the signing of Higuain since last summer and he is finally set to get his former Napoli striker. The Chelsea boss wants him in the squad for the second leg of Chelsea’s EFL Cup semi-final tie against Tottenham on Thursday night.